A little more than a month ago, in USDA Adds HPAI H5 Vaccine To National Veterinary Stockpile, it was announced that two companies had been awarded contracts to manufacture an unspecified number of doses of HPAI H5 vaccine for the National strategic stockpile. While no decision has been made to deploy any vaccine in the United States to control HPAI, government agencies want to have that option on the table in the event of a `catastrophic ‘ outbreak that traditional culling & quarantine measures fail to control. November 20, 2015 -- The United States Department of Agriculture’s Animal and Plant Health Inspection Service (APHIS) continues to prepare for the potential return of highly pathogenic avian influenza (HPAI). APHIS is issuing its second request for proposals (RFP) for vaccine manufacturers with the interest and capability to supply a variety of EA H5 vaccines in sufficient numbers to add to the emergency stockpile. APHIS has not approved the use of vaccine to respond to HPAI to date; however, the Agency is preparing to ensure that vaccine is available should the decision be made to use it. Any decision to use vaccination in a future HPAI outbreak would require careful consideration of the efficacy of the vaccine, any impacts of using HPAI vaccine in the field, and the potential trade impacts. In response to the first RFP issued in August, APHIS awarded contracts for doses of two vaccines for the Eurasian H5 (EA H5) virus strain, which became part of the National Veterinary Stockpile. The RFP is available here. Although no decision has been made to use vaccine in the event of a future HPAI outbreak, APHIS will continue to issue RFPs for vaccine manufacturers on a quarterly basis through September 2016, to allow additional products to be developed and considered for the stockpile should an HPAI outbreak occur. Any decision to use these vaccines would not be taken lightly, as there are both immediate and potential long-term downsides to doing so. As we’ve discussed previously (see PLoS Bio: Imperfect Poultry Vaccines, Unintended Results & The HPAI Poultry Vaccine Dilemma), despite more than a decade of heavy use, poultry AI vaccines have not proven to be a panacea for avian flu around the world. Countries that have gone the vaccine route (notably China, Egypt, Vietnam, and Indonesia) continue to battle the virus. One could argue (at least in Egypt & China), that their AI problems are worse now than when they started. The problem being that poultry vaccines aren’t always 100% effective; sometimes they only mask the symptoms of infection. That can allow viruses to spread silently among flocks, to continue to reassort and evolve, and potentially lead to new subtypes of avian flu to emerge (see Subclinical Highly Pathogenic Avian Influenza Virus Infection among Vaccinated Chickens, China). 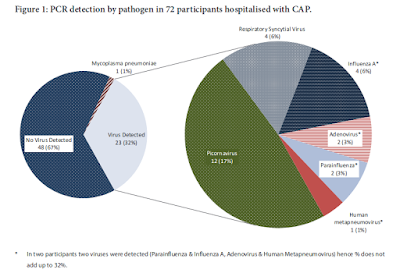 China – which uses 90% of the world’s supply of HPAI vaccines (cite) - has seen a surprising number of new AI viruses (H7N9, H5N2, H5N3, H5N6,H10N8, etc.) emerge over the past three years, while Egypt (#2 on the global vaccine use list) has seen numerous vaccine failures (see A Paltry Poultry Vaccine), and the recent Emergence Of A Novel Cluster of H5N1 Clade 2.2.1.2. which appears to jump more easily from poultry to humans. Reasons why, for more than a decade, the OIE has warned that vaccination of poultry cannot be considered a long-term solution to combating avian flu. And that “Any decision to use vaccination must include an exit strategy, i.e. conditions to be met to stop vaccination”. – OIE on H7N9 Poultry Vaccines. Of course, in the face of a truly catastrophic AI outbreak – one where culling and quarantine have prove ineffective in halting – one would want every reasonable option available. And that includes AI vaccines. The reality is, since it takes months to develop, manufacture, fill, and deploy any new vaccine – if there’s any chance you are going to need it – you need to make it in advance. Hence these quarterly calls for RFPs.